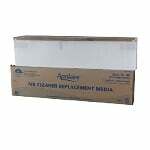 The Filters Fast FFC20256SGM13 compatible is a replacement filter for the genuine Aprilaire 2200 & 2250. The Aprilaire 2200 filter replacement has a MERV 13 energy efficiency rating. 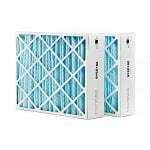 It captures over 90% of airborne pollutants like pollen, spores and mold as small as 3.0 to 10.0 microns. 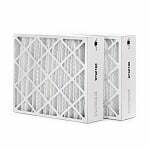 This Aprilaire 2200 Filter comes in a money saving 2 pack value set. This 2200 Aprilaire SpaceGard Residential Air Cleaner Filter is a 6 inch deep pleated filter made of 100% synthetic gradient media and has a moisture resistant 28 point beverage board. 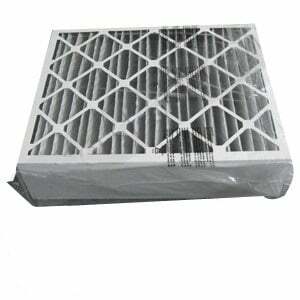 The filter support is constructed of a 30 gauge galvanized expanded metal grid and the media pack is totally bonded to the frame. The fine carbon powder bonded to the lofted polyester media helps to reduce odor. This pre-assembled furnace filter reduces air bypass and improves filter performance. The maximum temperature capacity of this Aprilaire Space-Gard Series Filter is 180 degrees Fahrenheit (82 degrees Celsius) with continuous service. Replacement of your SpaceGard 2200 filter is quick and easy.